MYSTERY PATIO HOSTESS GOWN WITH SUCH INTERESTING BACKGROUND . . . .
Long, sweeping gown in a beautiful, heavy cotton(?) – the photo on left shows the cut while the photo on right gives the true color and close-up of the interesting print. This dress has many construction contradictions; some point to 1940’s and some to 1960’s. Undoubtedly, it was custom-tailored. Maybe our mid-century tailor was very experienced and knew how to use various methods to achieve exactly the slinky, hourglass fit she wanted. The bell sleeves and commercial braid trim say 1960’s but the mid-back zipper placement, dip in the front waistline and fabulous art print fabric say 1940’s. Looks like a film noir hostess gown. I love a mystery! Anyway, it’s an absolute beauty and fits me like a glove. Dresses with the zipper placed mid-back are always a trick to get into and out of – pays to understand the method. However, when the fit is right and the construction good, it’s a snap. Tomorrow I’ll show you a cute shift with a clear Sixties pedigree. Stay tuned . . . . . . . . . . . . . . . .
LOVE THIS 1960’S PATIO HIPPIE DRESS I JUST FOUND! Heavy synthetic knit and great colors. Again, fabulous graphics on this one with a metal zip up the back. The lacing tie and empire waistline are fun style features, too. 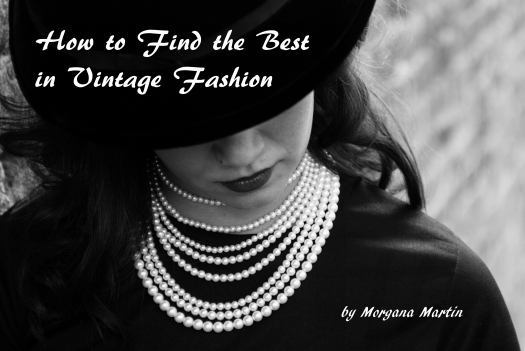 I know, I get a little excessive with my enthusiastic descriptions sometimes but that’s how I feel when discovering great true vintage garments. Keep on cleaning out your closets, grandma . . . . . . . . . . . . . . . . . . . . . . . . . . . . . . . . . . . . . . . . . . . . . . .
Now that the weather (in some places) is getting warmer and sunnier we’re all thinking (or dreaming), of outdoor activities. The idea of giving or going to casual parties (and what to wear) is all part of it. In the early 1960’s patios and “patio parties” became the big rage. People built patios onto their houses like crazy and all kinds of decorative lighting, furniture and dinnerware were sold especially for hosting these gatherings of neighbors and friends. Hostess gowns in very casual styles and materials were all part of this wave, and they persisted into the mid-1970s. Of course, long casual dresses have been around for a long time and still are, but the “hostess gown” is kind of a separate breed. This one is typical. Most had a earlier ones had a defined waist and, often, a belt. They are a floor-length style that would also look good as a knee-length dress (hint-hint: if you find one you like but don’t want a gown, think about shortening it to a day dress). I just love finding these dresses. They really say summer fun in a very true vintage way. Get out the Tiki lanterns and the barbecue grill and have a blast! If your patio is big enough, don’t forget the cha-cha and bossa nova records. The girl from Ipanema might show up – you just never know . . . . . . . . . . . TRUE VINTAGE 1970'S SUNDRESS WITH APPLIQUE – OFF TO THE COUNTRY CLUB.